When reading about Aziz Ansari’s book for our “Books to Watch For in June” post, I found myself a little bit curious about the other author in there. Ansari will have a book coming out, which he wrote with Eric Klinenberg, a sociology professor. So, it’s not just a comedy or an autobiography of Ansari’s, but one focused on a specific topic with professional input. This is important– the effort that then goes into this book should, ideally, be informed in a way that isn’t just dependent on Ansari’s humor. This makes me wonder over other books written in collaboration. The agreement that goes on in collaboration, and the necessary cooperation needed produces an interesting give and take relationship. While a great sales motive, collaboration can be a great burden for authors as well. 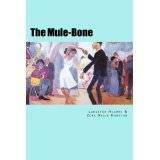 Consider the play The Mule Bone, written by Zora Neale Hurston and Langston Hughes, two great writers of the Harlem Renaissance coming together to produce a comedy. Ultimately, it didn’t go over well, with both authors struggling to meet the other’s expectations and with circumstances getting in the way of their writing production. Ultimately, the arguments over one writer taking credit over the other is what made this collaboration fall into infamy. I remember these best from Barbara Kingsolver’s famed nonfiction book Animal, Vegetable, Miracle, which includes portions from her husband (Steven Hopp) and daughter (Camille Kingsolver). Then there’s the nonfiction work by Sue Monk Kidd and Ann Kidd Taylor, her daughter. Together they wrote Traveling With Pomegranates: A Mother Daughter Story. 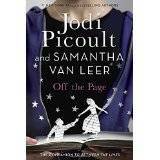 In fact there are lots and lots of books written in mother-daughter teams, including Jodi Piccoult and her daughter Samantha Van Leer’s recent young adult book, Off The Page. I want to know about how these books were written. Collaboration is a wonderful and a dangerous thing simultaneously and I know many writers who would absolutely balk at the idea of doing it. So, then, is it equally as dangerous to write with your Mom? Or more so? Now this is interesting. Like Hughes and Hurston, there are several instances where famous writers have decided to work together. Of course, no modern writer duo will be quite like Hurston and Hughes. Sometimes the agreement to work together seems to be setup because a collaborative book would simply sell really well. Sometimes you wonder if it was because they were pen pals all along. Then there’s Stephen King and Peter Straub, of course, in Black House and The Talisman. This relationship was an interesting compilation of styles since these authors have different voices. Explanations of how these were written are vague. I want to know if one author carried more of a burden here than the other, if they were written entirely over email or with GoogleDocs. I want to know if they argued over characters, dialogue or—!! !— comma usage. And then, you have the large numbers of authors who are collaborating in a wacky concoction of voices. This came to the surface during NaNoWriMo in 2014 when Grammarly.com ran a contest to beat the world record of most authors to collaborate on a novel. Their attempt is now on sale as an ebook for proceeds to go to charity. 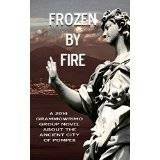 It is entitled Frozen by Fire. Ok, so this is interesting and odd to me. I wonder how many people will purchase this one because no matter how amazing the story is, it is hard for many people to accept that so many voices truly had a hand here. Does a crowd sourced novel depend more on editorial talent than anything else? Will readers really want that one name to hold on to, to value as The Author? It’s an interesting thought, though I imagine the purpose here is more about the process and concept than about the final product.